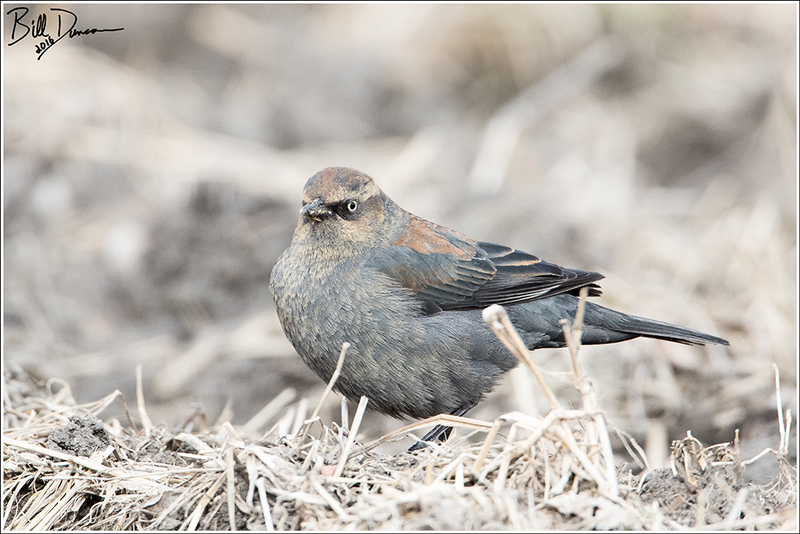 The northernmost breeding blackbird of North America, the Rusty Blackbird unfortunately has the distinction of being in one of the steepest population declines of all N.A. bird species. 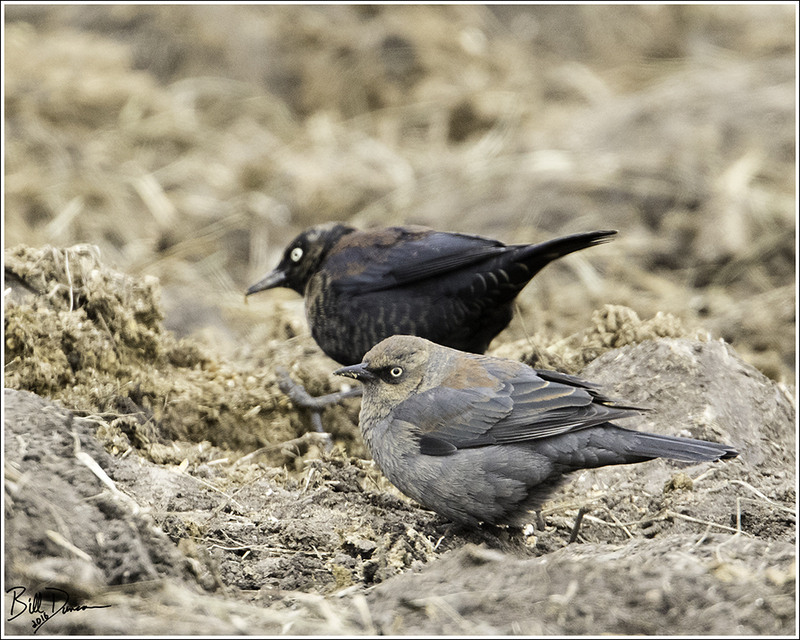 Rusty Blackbirds nest throughout the boreal forests of Canada and Alaska, but winters throughout the eastern United States in areas including wet forests near permanent bodies of water. They will also utilize agricultural environments. Among the protected areas considered important for overwintering habitat is Mingo NWR, located in south-eastern MO. Rusties exhibit an interesting variability in plumage throughout winter and spring, as can be observed in the different birds photographed in this post. Males are dressed with varying amounts of the rusty warm color that gives this species its name. This coloration is located on the tips of newly emerged feathers during the molt. 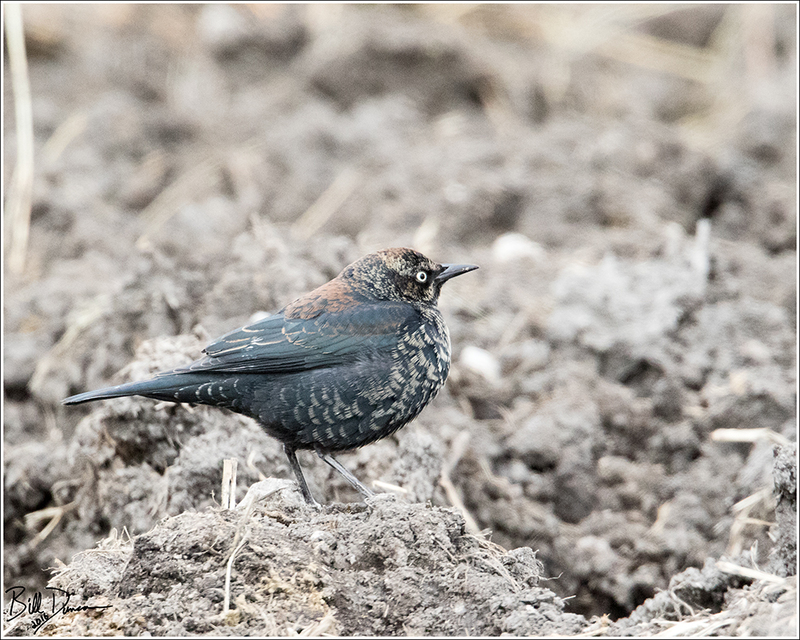 As these fine feather tips wear and break off, the males will become primarily black and luminescent in summer breeding plumage. 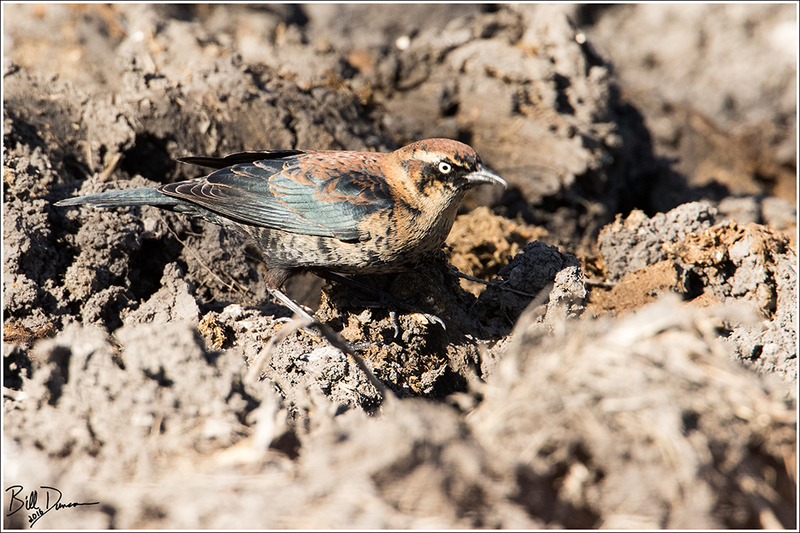 Female Rusties are even more interestingly plumaged, with tans, browns and blues. 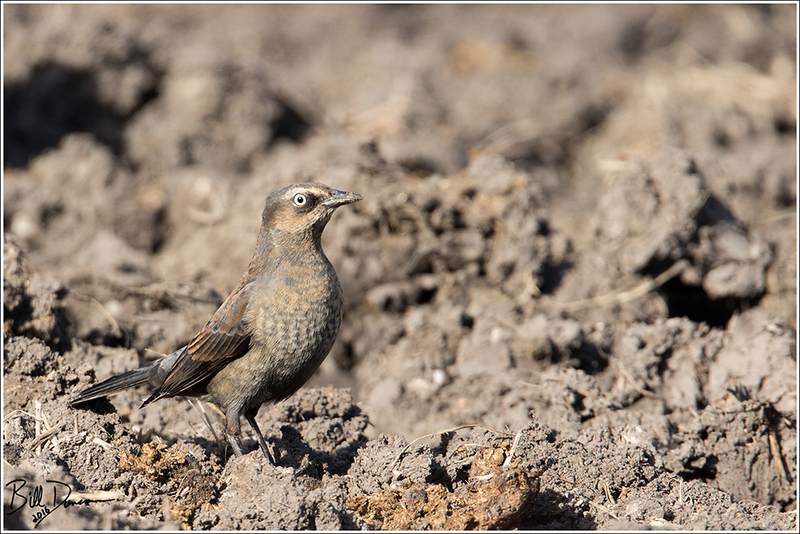 Different survey methods, such as the Breeding Bird Survey and Christmas Bird Count all suggest that the Rusty Blackbird population has declined by more than 90% over the past three decades. Reasons for this decline are not well understood, but are likely to include the acidification of wetlands, loss of wetland habitat in general, loss of forested wetland habitat on wintering grounds and poisoning of mixed-species wintering blackbird flocks in south-eastern United States, where they are considered as agricultural pests. Limit global warming pollution and acid deposition via air pollution. Implement protections and management plans across the boreal forest of North America. Stop deforestation of wintering habitat and implement habitat restoration.